An illustrated collection of poetry for children and young people from age nine upwards, structured around the verses beginning, 'There is a time for everything, and a season for every activity under heaven' - which have had universal appeal for more than two thousand years, and are presented in full as a Prologue to the anthology. 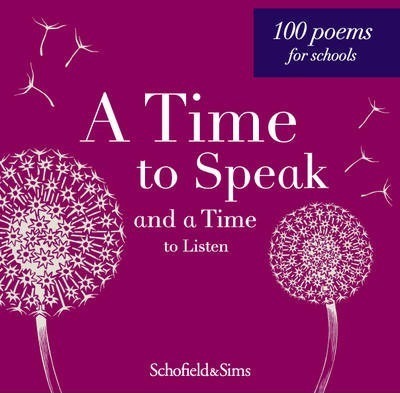 The 100 poems included, written by over 70 different poets, reflect with thoughtfulness, candour and humour on the many contrasting themes of the verses that inspired them, for example, birth and death, weeping and laughing, love and hate. Poems by well-known modern poets are interspersed with the work of older classics by writers such as John Donne, Edward Thomas, Thomas Hardy and John Masefield. Care has been taken to ensure that boys as well as girls will be drawn to the content - by the inclusion of narrative poems, for example - and the wide cultural appeal is enhanced by the contributions of writers such as Debjani Chatterjee and Gieve Patel. Eight poems by contemporary writers are published here for the first time - including items by Roger Stevens, Jan Dean and Nick Toczek.